Readers are chosen by the pastor to assist at Mass during the Liturgy of the Word by proclaiming the readings. To become a reader, a parishioner must first complete the “School of Liturgy” in accordance with the policy of the Diocese of Camden. Interested parishioners should contact the pastor. In the procession to the altar, in the absence of a Deacon, the reader, wearing approved attire [see GIRM, no. 339], may carry the Book of the Gospels, slightly elevated. In that case, the reader walks in front of the Priest but otherwise walks along with the other ministers. The reader reads from the ambo the readings that precede the Gospel. In the absence of a psalmist, the reader may also proclaim the Responsorial Psalm after the First Reading. In the absence of a Deacon, the reader, after the introduction by the Priest, may announce the intentions of the Universal Prayer from the ambo. At the conclusion of the Mass, the reader does not process with the Book of the Gospels. The Lectionary is never carried in procession. The reader may join in the procession at the end of Mass in the same order as in the procession to the altar. Father Mann is encouraging those involved with liturgy to consider going to “The Four Canons of Composition” by Anthony Visco. Anthony is the artist who gave us the Crucifix and created some of our art. He has is also the main artist whose work is seen at the shrine for St. Rita in Philly. He is quite knowledgeable and well respected in the field. 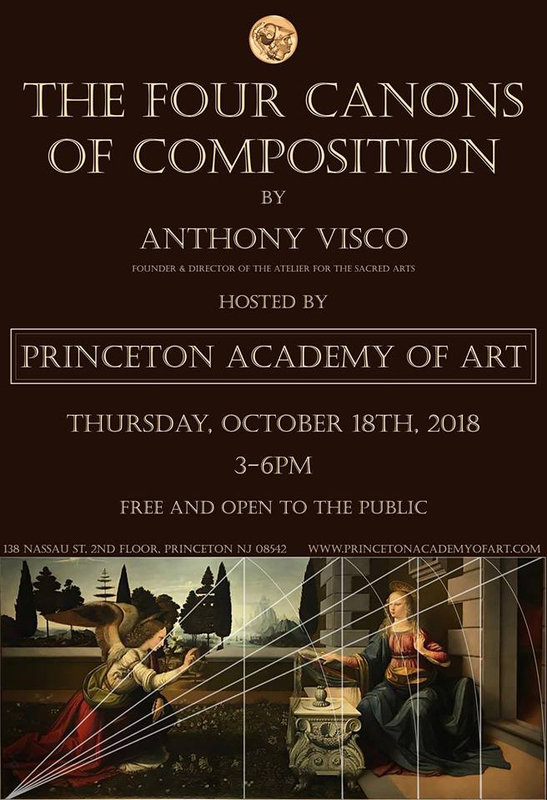 Please join us Thursday, October 18th, for an amazing lecture on composition by The Atelier for the Sacred Arts Director and Founder, Anthony Visco. We hope to see you there! This lecture is free and opened to the public.